“UFC 150: Henderson vs. Edgar II” takes place Saturday inside Pepsi Center in Denver, Colorado. The first preliminary bout is scheduled to start at approximately 7:30PM ET/4:30PM PT. Make sure to stay with 5thRound.com all night for our live coverage. Facebook will kick off the festivities by streaming the featherweight scrap between Nik Lentz and Eiji Mitsuoka. Fans simply have to “Like” the UFC’s page in order to watch the scraps live. FX will then broadcast the remaining four prelims live beginning at 8PM ET/5PM PT. Unfortunately the freebie fights end there, as fans will have to pay for the goods when the pay-per-view begins at 10PM ET/7PM PT. 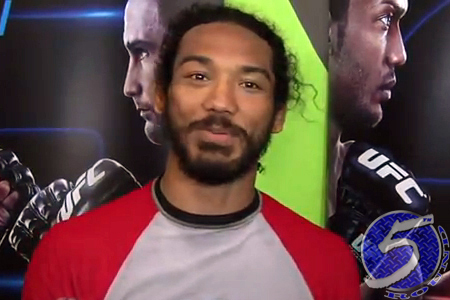 Saturday’s show features a lightweight rematch between champion Benson Henderson (Pictured) and the man he took the crown from in February, Frankie Edgar.